It’s an unfortunate truth, but yes, it is legal. And they do — all the time. It wasn’t always allowed, but very often it happened anyway. However, successful lobbying with Governor McCrory lead to a huge change in the law. 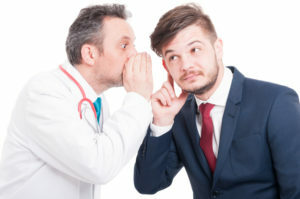 Thanks to these new laws, employers can talk to your doctor, and are not required to tell you that the conversation occurred or what they talked about. So why did insurance adjusters and employers want this changed? Well, based on the fact that they lobbied the government to change the law, it doesn’t seem like a huge leap to infer that they had a motive. And that motive seems to be their desire to communicate with your doctor without you knowing.